Just two years ago a shiny new co-working space opening in Malaysia would’ve been actual news. Today though, so many of them are opening up that it’s actually pretty difficult to keep track of what’s available. Spaces like Common Ground offer a more ‘premium’ experience of a co-working space, new kid on the block CO3 is branding itself as a Social Office, while others like the Launchpad in Cyberjaya have aspirations of turning into the IoT hub of this corner of Southeast Asia. And guess what? There’s been actual research proving that people who working co-working spaces are apparently happier than others who work in a normal office. The co-working space market in Malaysia is still relatively young. The success or failure of a co-working space here still depends a lot on how good founders are at educating their audience about what an open co-working space is and what its benefits are. We look to more mature markets like Singapore and the eternal tech model Silicon Valley to see what has gone down there, and here’s what we think the co-working space economy in Malaysia could grow to in the next 5 years or so. In America, a land where healthcare has been privatised and even a single knee surgery can cost a bomb, one medical startup dares to dream. Instead of an annual checkup where the doctor only gets a snapshot of a patient’s life, Parsley Health asks patients to meet up with ‘health coaches‘ 30 times a year for 150$ per month. Some of their offices are found in co-working spaces. It’s certainly an interesting healthcare model, and we’re not sure if it’d do well in Malaysia thanks to our dramatically different system. But taking on the concept, imagine a private clinic or unique healthcare startup meeting clients in an open co-working space right here in Malaysia. Their patient’s waiting room would be on the co-working space’s guest couches. While friends and family wait to drive the patient home, they can sit at the co-working space’s café to sip on lattes or Americanos at the rustic, usually wooden chairs. Not to mention, the startups, SMEs and freelancers based in this co-working space now have a peace of mind of having a doctor nearby, in case the worst happens while they’re working. In fact, why stop at healthcare? Thanks to the rise of e-commerce and digital technology, physical retail outlets have taken a hit. Thus, services that still require users to come in physically might not have malls or shopping strips to be housed in. Instead, we could see dentists, hairdressers and beauty groomers make their move into co-working spaces. This future might be coming sooner rather than later, if WORQ is to be believed. When we last spoke to them, they were already planning two more co-working outlets. 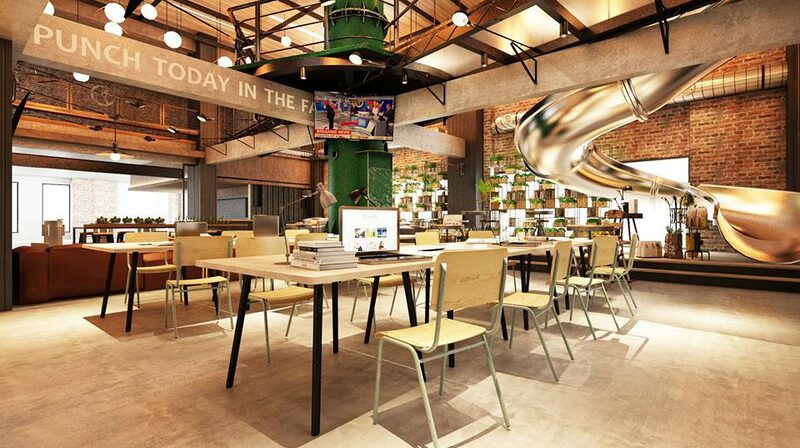 The co-working franchise WeWork is one of the golden children in the international scene. Turning six in 2016, WeWork has 150 offices, was valued at $16 billion in April last year and holds over 80,000 members in 15 different countries. We’re seeing small glimpses of it in Malaysia, but nothing of that scale yet. As an example, KL’s The Co. is actually a Singaporean co-working space that has extended its branch to our side of the causeway. We’ll be waiting to see how some of these expansions fare. And even if the first or second expansion doesn’t pan out, the third and fourth might strike WeWork’s gold. Here in Malaysia, we’re used to associating co-working spaces with freelancers and startups. 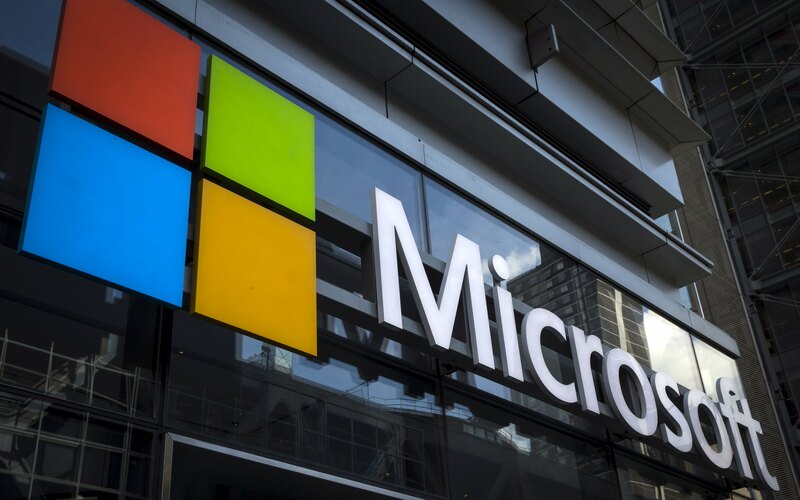 Over in the US-of-A, tech giant Microsoft moved 30% of its New York office into the aforementioned WeWork. People are already writing thinkpieces about why corporates are now making their move into co-working spaces. And their thoughts are eerily #relatable. With the rising costs of real estate, effectively managing the ideal office space versus number of employees is turning into a full-time job. Since most space rentals usually set a specific amount of time (e.g. two years or five years), picking the right office to accommodate your growth turns into a confusing juggling session. And managers are too often pulled between dealing with that and trying to grow their business. Co-working spaces definitely cost more than just renting out your own space. But some big businesses have found that it’s a small price to pay as it allows them to then keep their focus to expansion and business growth. More people just means renting out more desks and any downsizing won’t result in wasted office space. With the added advantage of putting more established companies nearer to the young blood of the scene, some corporations see it an inroad to remaining relevant in our rapidly changing business ecosystem. Even right now, rumours on the scene state that certain local companies are already looking at open co-working spaces as a way for them to test a new market for the first time. It’s a way for them to bring brand exposure to the area before they decide whether to commit or pull out. Co-working as we know it is transforming. The original co-working movement itself could not scale when it became a business. Although the traditional image of co-working is a wide open space, this model has been found to be less popular as time goes on. They are no longer completely wall-less collaborative spaces, but rather a series of private offices that have shared open areas where any mingling can be done. 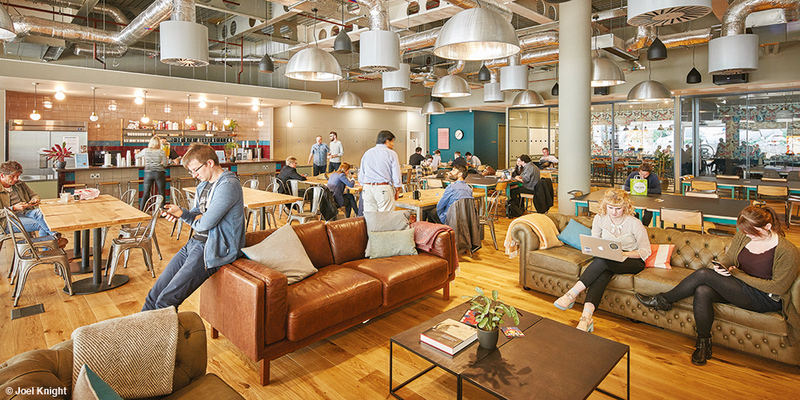 Management of co-working spaces has even been equated to just being an office rental company, which is far from the community-focus that all the spaces now emphasise on. It’ll be interesting to see what these spaces become here in Malaysia, and if they follow the same evolutionary path.